The Easy WP eWAY Payment Gateway plugin is all you need to start accepting credit cards quickly and easily on your WordPress website using either WooCommerce, WP eCommerce, Another WordPress Classifieds or Events Manager Pro and your eWAY account. All payments are processed securely via the eWAY payment gateway without your customers leaving your checkout page. The eWAY payment gateway accepts payments from Visa, MasterCard, American Express and Diners Club cards and will deposit the funds into your nominated bank account. You’ll need an eWAY account which is available in Australia, New Zealand, USA, Singapore, Hong Kong and Malaysia. Simply sign up for a FREE eWAY account and start doing business online. You install the Easy WP eWAY Payment Gateway plugin just like any other WordPress plugin. 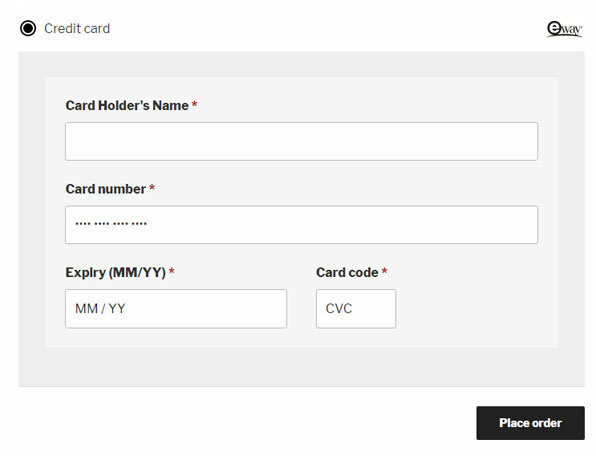 Purchase the Easy WP eWAY Payment Gateway plugin and start accepting secure credit card payments without customers leaving your website. Simply install the plugin and activate via the WordPress admin menu. Configure your chosen plugin with the eWAY account keys & required fields and you’re set to go. No coding skills required. Please note: This plugin enables you to securely interface with the eWAY Payment Gateway to conduct transactions from your website. We are however not responsible for any transaction fees that eWAY may charge you or any payment amounts that are to be deposited into your account. 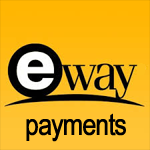 Any questions concerning transaction fees or payments should be directed to eWAY.